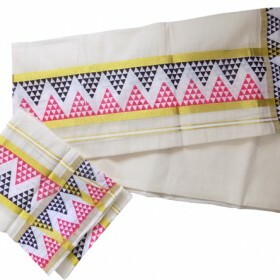 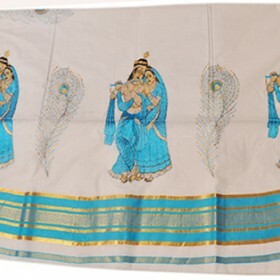 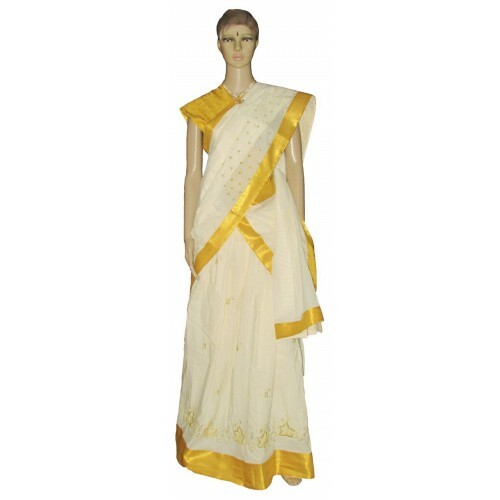 Here is pure cotton Kerala half saree for youngsters to get a traditional style in all festivals. 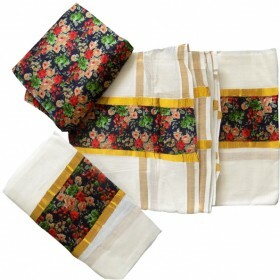 This is off white color having golden floral embroidery work on the border of the pavadai along with thick golden kasavu and also it has small floral embroidery work on the whole pavadai which makes it rich. 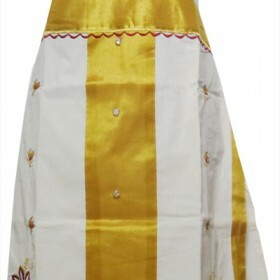 Davani having golden border along with small floral embroidery work on the top fleet of the chest part which enhances the beauty of the dhavani. 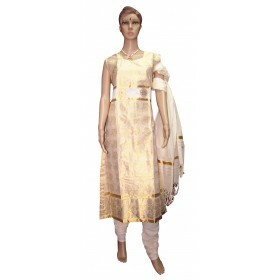 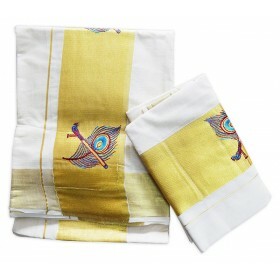 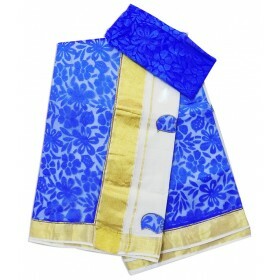 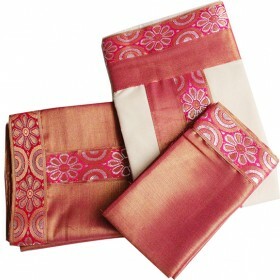 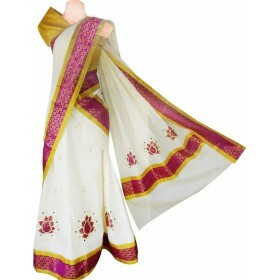 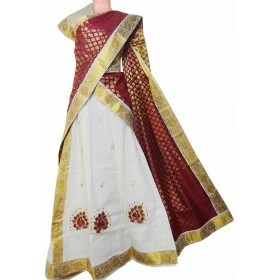 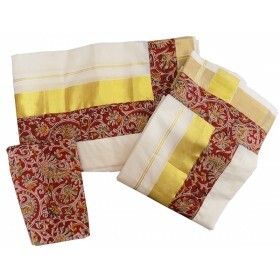 We have perfectly matching blouse golden brocade piece along with this which makes more grand and attractive.